..and we are really proud of it! 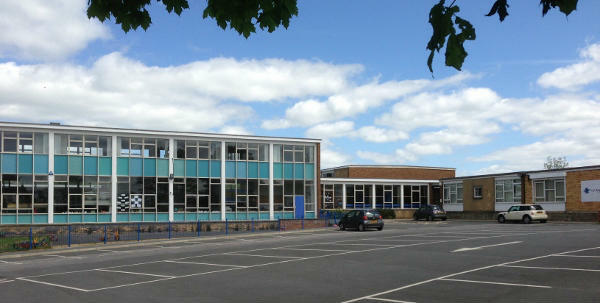 The Head Teacher and the staff work with the parish to ensure that the school is thoroughly imbued with Christian values: these are obvious to any visitor to the school both through visual display (the school prayer, Christian symbols etc), but more importantly, in the way that children and staff are encouraged to relate to one another in joyful and positive ways. The recent report on the role of the Church of England in education (The Chadwick report) highlighted the importance of offering high quality education to local children: Green Lane consistently offers the very best to all children. Ensuring that the school performs well is part of our Christian witness as a parish. 3 parishioners serving as Foundation Governors on the Governing Body. daily worship in school (with clergy leading worship once a week), and termly ‘full school’ acts of worship in church. the involvement of church members in joint projects with the school (most recently a banner project and a stained glass windows project). creating space in the curriculum for parishioners and staff to lead The Big Story: use of Godly Play techniques to encourage reflection on the Christian story. Christian values of love, care, respect and forgiveness being modelled in our school policies. an active Christian ethos Committee to monitor all the above. The parish seeks to help every child to have ‘a life enhancing encounter with the person of Jesus Christ and the Christian church’ and to do so in an unthreatening, open manner that is of a piece with our role in the community. At Green Lane CE Primary School we judge ourselves as outstanding and 2013 Ofsted judged us as good with outstanding in behaviour and safety and leadership we feel this values the effectiveness of all that we do. As a Leadership Team we have worked tirelessly to strengthen the quality of provision in KS1 and to work to ensure all groups make sustained progress. Our teaching is now consistently good with outstanding features or outstanding, helping pupils to overcome barriers and including high challenge to encourage progress. We now have improved use of data to track continuously and promote pupil progress. We feel that at Green Lane we provide a stimulating, varied and rich curriculum. Rigorous teaching of the basic skills in reading, writing and mathematics goes alongside a creative, topic based approach which is at the heart of what we provide. As a Church of England school, the teaching of R.E. is a fundamental aspect of the curriculum that we constantly reflect upon and strive to enhance. It is taught to all of our children through a specially designed programme called ‘R.E. through the Arts’. We are a welcoming school with a safe environment, which has clear guidance and support. The pupils’ behaviour is outstanding and our team ethos is at the heart of this. The overall feel of our school is one of a cohesive, creative learning community which supports our pupils’ spiritual, moral and cultural development as well as their academic potential. Our pupils and staff enjoy being here, we all work hard to achieve well.